If you have bad credit and you’re looking for a loan, you probably know that the process can be confusing. You’ve probably also figured out that all lenders are not created equal. So what should you do? There are a number of things to consider when you’re applying for a loan from a bad credit lender. Here are a few tips that can help you out. Different bad credit lenders charge different rates and that means that borrowing from one lender could be much more costly than borrowing from another. You’ll also want to stay away from payday loan companies in order to avoid sky high interest on your loan. For example, in Ontario, payday loan companies are able to charge a maximum of $21 on a $100, two-week loan. Paying $21 on $100 over two weeks means you are paying $1.50 per day for the loan. This isn’t a big deal in the short term but it means that, in one year, you would pay $547.50 in interest on that $100 loan. 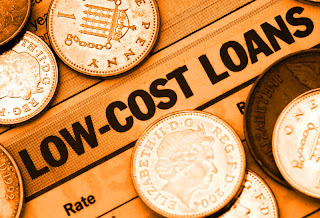 If you are unable to pay back your payday loan quickly, the costs add up. You’ll also want to avoid lenders that charge upfront fees. A legitimate lender will not ask for any money upfront. Will Your Loan be Reported to Credit Bureaus? If you’re trying to re-habilitate your credit score, it is important that the lender reports your loan to the credit bureaus. Credit bureaus want to know that you have successfully paid off a loan. This lets them see that you’re able to borrow money and pay it back, which makes them trust you more. If the bad credit lender isn’t reporting your loan to a credit bureau, you won’t be able to re-habilitate a successful credit history. Does the lender have options to make monthly or bi-weekly or weekly payments? Are you able to make additional payments when it’s possible for you? How much are the lien discharge fees to pay off the secured loan early? These are all important questions that you should ask. More flexible loans are generally easier to pay off and they let you live your life with less worry and stress. Open loans give you the flexibility to pay off your loan before the term ends. Some lenders such as Prudent will even give you back interest on the remaining term of the loan if you decide to pay it off early. These are the kind of loans that you should be looking for. Will you have life insurance or employment insurance on your loan? Full coverage of car insurance is must for any car title loan. Many lenders will request life insurance coverage on your loan for your own protection. It’s important that you know these details. Make sure you know what kind of loan you are getting. There are many different aspects and attributes that come with different types of loans. For example, car title loans are secured unlike home equity personal loans. This means that the borrower can use the vehicle as collateral. Before you agree to any loan, make sure that you know what type of loan you are signing up for. Visit our Facebook page for more financial tips and blogs on personal finance.